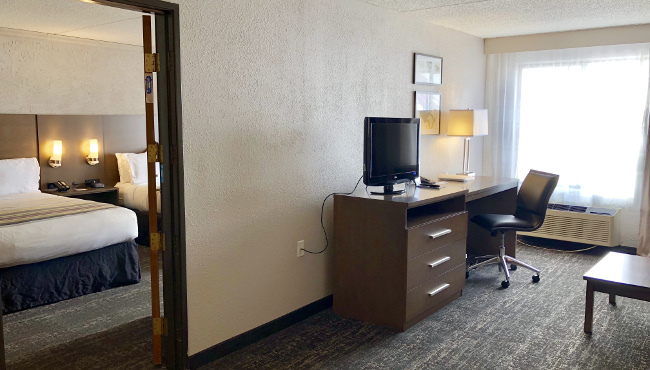 After a full day of meetings, unwind in your room or suite at the Country Inn & Suites in Sturtevant, WI. Every one of our 92 accommodation options provides a microwave and refrigerator for preparing snacks and storing drinks. Pop some popcorn, curl up on the bed, and make it an HBO movie night. In the morning, you can brew a cup of coffee in the Keurig® coffee machine and check sports scores or the stock market thanks to the free weekday USA TODAY® newspaper. 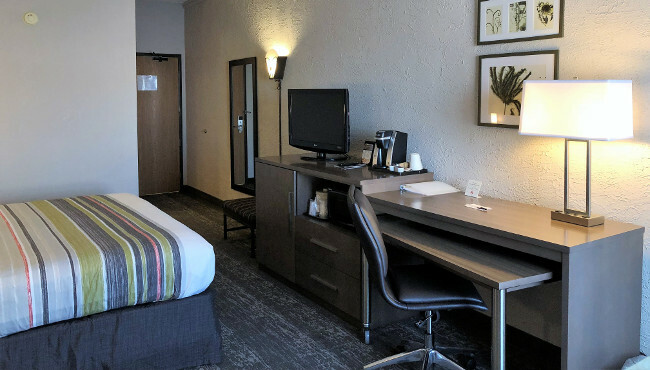 In addition to a king-size bed, these rooms include a mobile desk, a lounge chair and an ottoman. Sharing travel expenses with a friend? Book this room with two queen beds and a comfortable lounge chair. 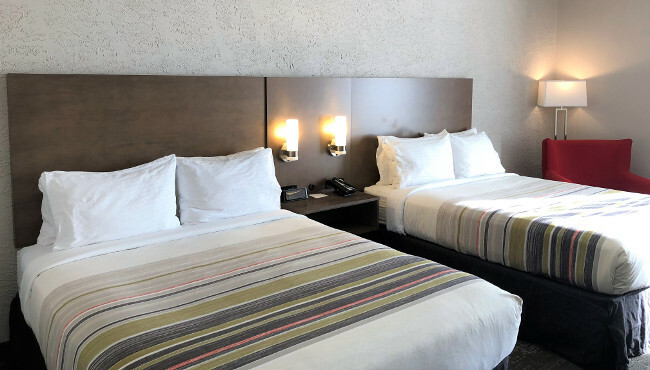 Perfect for solo business travelers, our One Queen Rooms come with a queen bed and a queen-size sleeper sofa. Give your family the privacy they deserve. 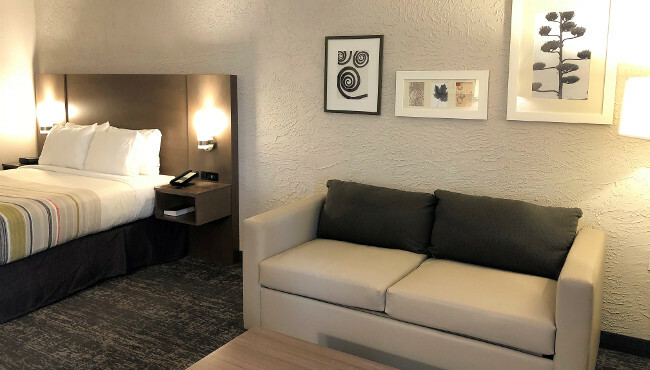 Book a Two-room Suite with two queen beds and a separate living room that includes a sleeper sofa, a wet bar, a lounge chair and a dining table with two chairs. Celebrating a special occasion? 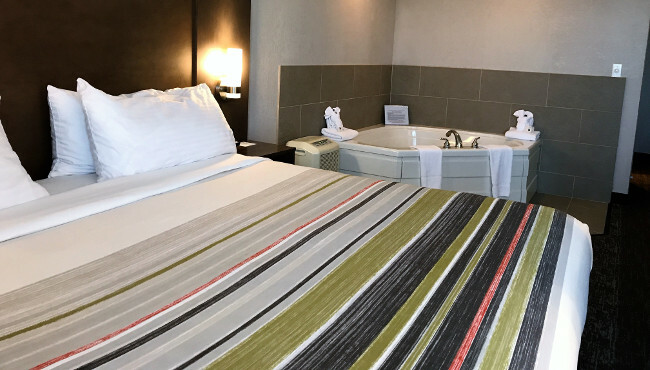 Surprise your significant other with a suite that includes a two-person whirlpool tub and an additional mobile desk.